SULLIVAN, Evelyn M. of Watertown, August 17, 2018. Age 85. Loving daughter of the late Thomas P. & Mary (Toye) Sullivan. Dear sister of Bebe Quinlan & her husband Jack of Bolton and the late Patricia K. Boylen. Beloved aunt of Thomas Quinlan of Key West, Pamela Quinlan of Princeton, & Jennifer Quinlan of Watertown. Caring great-aunt of Cassie, Daniel, Jonathan, & Mary. Evelyn was a long-time federal employee; she worked at the Watertown Arsenal and later at the Boston office of the Environmental Protection Agency where she was Executive Secretary and Freedom of Information Officer. 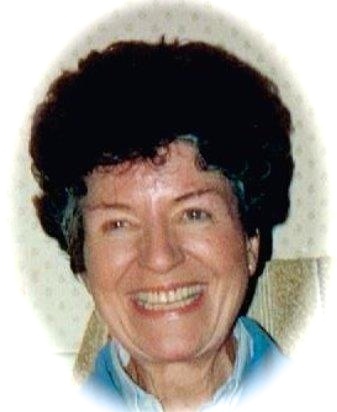 She was active member of Catholic Daughters, Sodality, and the Watertown Women's Club. Funeral from the MacDonald, Rockwell & MacDonald Funeral Home at 270 Main St. Watertown on Thursday August 23rd, 2018 at 11 am, followed by Funeral Mass in Sacred Heart Church, 770 Mt. Auburn St. Watertown at 12 noon. Relatives and friends kindly invited. Visiting hours Wednesday from 4-7 PM.